We all know to take care of our face and watch for the signs of aging; but what about farther down? Your neck and chest show signs of aging too. Using a good skin care line and making sure you don’t stop at the jaw line is important. Still that sagging skin and wrinkles show your age, or worse, make you look older than you really are! Now there is a solution that really works to rejuvenate the skin from the inside out: Ultherapy! Loose sagging skin and wrinkles are improved by tightening the lower layer of the skin and building new collagen to support, lift and tighten giving you a refreshed, youthful appearance. Skin on the neck and under the jaw line is lifted to improve the definition of the jaw giving you that cut edge you once had. The entire neck is treated minimizing lines and wrinkles and lifting the skin. The Décolleté is the newest area FDA cleared for Ultherapy. The upper chest gets a lot of sun damage and shows deeper lines and folds with aging. Now Ultherapy can lift, tighten and renew the look of your chest too. You may want to combine your neck and décolleté with a facial Ultherapy procedure or treat just one area. Sculpted Contours has expert Ultherapy trained staff to get you the results you are looking for. 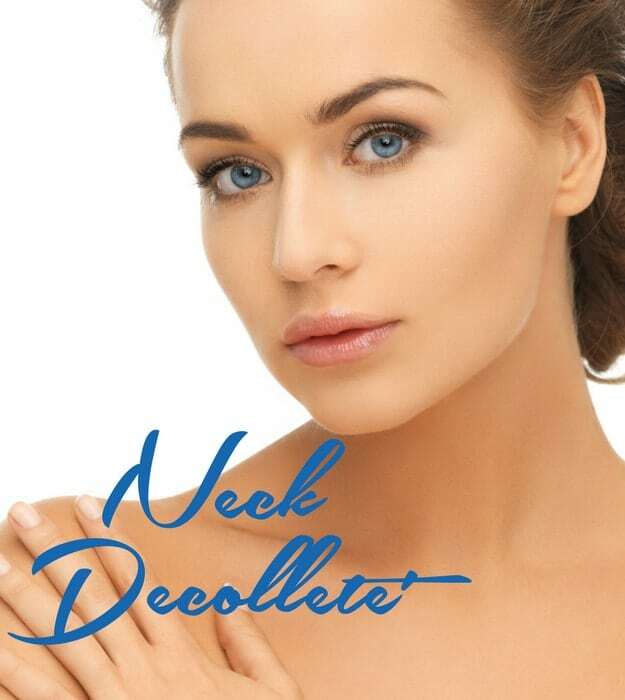 Come in and see if Ultherapy for your face, neck and décolleté is right for you. Looking younger and more refreshed was never so easy as a 1-hour UPLIFT Ultherapy procedure at Sculpted Contours. Our Ultherapy treatment room is luxuriously furnished so you can relax and enjoy yourself while being pampered. We also recently added the Inmode system to our procedure line up. Fractora, Forma and Lumecca round our line up to address skin laxity, wrinkles and skin discolorations. See below for our full solution line up for your neck and chest. All of our procedures are done in a private, luxury treatment room with a treeline view of Buckhead fully appointed with the most comfortable beds and furnishings.